Goodreads: Virginia finally had the chance to explore a relationship with Aaron when he asked her on a date. She had been waiting, hoping that the widower and his young son, Buddy, would welcome her into their lives. But a terrible tragedy strikes on the night of their first kiss, crushing their hopes for a future together. Kritters Thoughts: Virginia is living in this small town and has been eying a customer that has been coming into the diner that she works for a long time, the night that they both gain courage is the last night of their lives. Buddy/Jody his son is impacted by this last night and is forever changed and has a very different upbringing then what was planned for him. Although predictable from page one, I still enjoyed the journey of these characters. I loved Virginia and Jody and wanted to read their story even though I knew almost exactly where it was going to go! Virginia was great. She seemed like a solid character but she had just as many flaws as Buddy/Jody who you would expect to have a lot of flaws with the dramatic childhood he has had by the age of 4. I loved how both Virginia and Jody actually ended up saving each other and contributing to each other's lives. 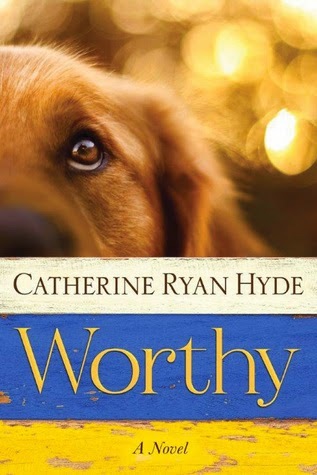 This was my first Catherine Ryan Hyde read and it won't be my last!